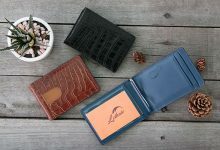 Luxury leather wallets are very expensive so that to keep it last long and to avoid wasting money, knowing some ways to take care of it properly is essential. In this article, I will show you how to clean, protect and even fix some common problems on a leather wallet. Let’s get started! If you are curious about the cleaner product I usually use, they are Zaino Z9 leather soft spray cleaner and Z10 Leather in a Bottle. These are the best leather soft cleaners I have ever used as apart from the function of making my leather items clean and soft, it also helps to restore the real leather smell. 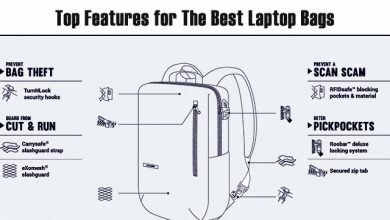 Besides, the products highlight the ability to not leaving stickiness, natural luster and greaseless on surface of the leather items after cleaning, very convenient. You don’t have to use them all the time. The order is the Z9 first and then the Z10. First thing first, shake the leather soft cleaner bottle well and spray it on the surface of your wallet, then use the toothbrush gently brushes it for about 10-15 seconds. After that, use a clean cotton cloth to wipe dry the chemical. With such heavily soiled areas, just repeat application on them. Now, the question is how to clean the inside of the wallet, right? Well, what I normally do is just using the cotton cloth and wipe gently all the pockets one-by-one. Usually, the interior of these pockets isn’t leather so that it’s much easier to clean. Once the wallet is cleaned up, it will restore its original shine in addition the feel and smell of real leather. Now, moving to the next part, again, shake the Z10 well and squirt sparingly on the surface of your wallet. The best way to apply this is using your hands. With circle motion, apply the liquid on your wallet with a gentle pressure. If you have applied too much, don’t worry, just use the cloth to wipe the excess moisturizer. Repeat the whole process with the inside of your wallet. Once you have done with it, make sure that you give the wallet a bit brief massage. Now, leave it for about 24 hours and then, you can use it as normally. Last but not least, apply a thin layer of leather protectants to help your wallet stay safe from water, ice or snow. Besides, this product also keeps the moisture in the leather from escaping out. 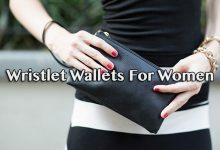 Hence, the quality of your leather wallet will be remained like new and also increase its life circle as well. 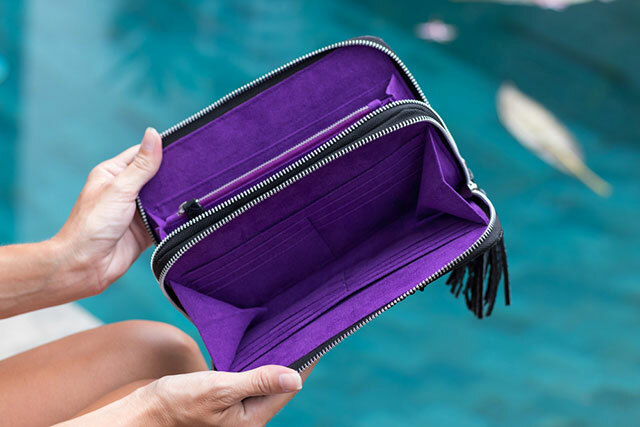 Before apply leather protectants to the whole wallet, make sure you have already tested on a small portion to clarify that it matches the color of your wallet as well as the leather enables to absorb the liquid well. 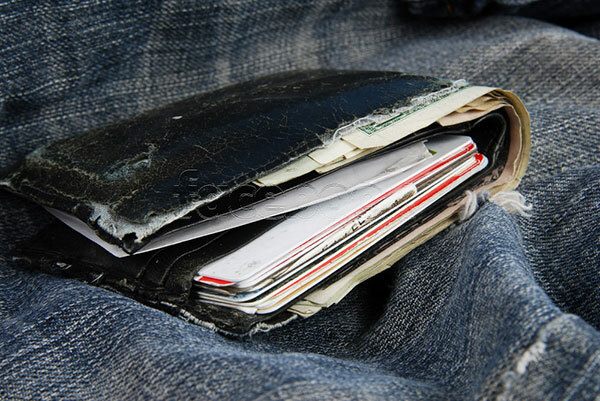 For the best maintenance, clean your wallet once every three months. 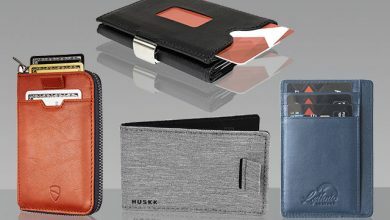 Never ever expose your leather wallet in particular saying and all the leather items in generally under direct sunlight because it can fade out the leather. 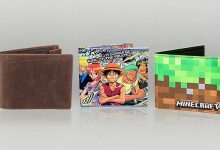 In worst case, your wallet might be damaged. The next step after choosing the best leather wallet is those products specialized in taking care of them. For example, never use a shoe polish to clean your leather wallet. Actually, each kind of leather finishes and hides requires different ways and products to maintain. A specialized cleaner will always work better than a general leather one so that understanding application and composition of different types of leather products, like cleaners, moisturizers and protectants will help a lot in preventing your leather items from discoloring, staining and stiffening. Also, avoid using too hash leather cleaners as the chemicals might ruin your wallet. Like when you use wrong leather products for your wallet, baby wipes contain many chemicals which are not friendly for leather. If you don’t want to ruin the finish of your wallet, never use baby wipes to clean it. However, with stains or grease on the surface of your wallet, just use a clean cotton cloth to wipe dry them. With such heavily stains, a good leather cleaner is better. 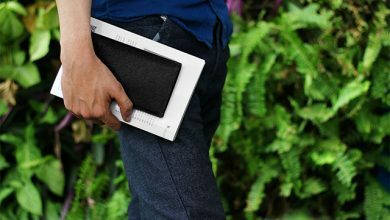 No matter your wallet is high-end or not, once you have a habit of placing it in your back pocket, the most common problem happening to it is that its corners will be curved, which is quite ugly. To fix this, you need some heavy objects. I myself usually use textbooks but you can utilize many others, just heavy and have flat surface. 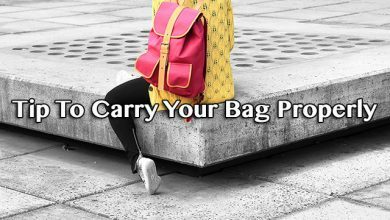 Put the wallet on the floor or any hard surfaces, piles all textbooks on top of the wallet. If you feel the textbook pile isn’t heavy enough, you can load it up with weight after weight. In my opinion, you will need a solid pile weighing about 25-30 pounds on top of the wallet. What we need to do here is to sandwich it down to flatten it out with the weight. Once the weight is enough, just leave it for a day and see the magic on the next day, your wallet is absolutely and nicely flat. Another common problem coming to leather is being torn. So how to fix this? First of all, prepare a piece of leather repair claw the size of which can fit properly to the tear. And leather appear filler, of course. Starting with gently cleaning surface of the tear area. Next, put the leather repair claw piece underneath and apply a moderate amount of filler inside the rim. Then, gently push down to make the tear area flattened. You can apply the filler right onto that crack. After that, leave it for about 18-24 hours to let the filler set up on the tear. Now, moving into the next part, sand the surface a little bit and wipe dry. Then, use leather dyes that has the same color as the wallet, apply it to a sponge and tap on the tear area. Dry it with hair dryer. Repeat this step until the crack is totally faded out. Next, spray the leather sealer on the sponge, wipe it on the crack, dry it out. Now, you have got a very nice leather repair. Here is the end of my guide. 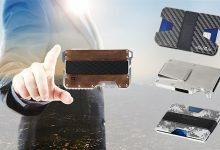 Hopefully through this article, you will have some more tips to take care of your wallet better and keep it last as long as possible. 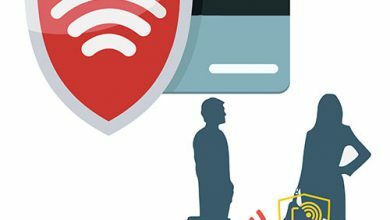 What Is RFID Blocking? Should A Wallet Have This Feature?